The All Assam Minorities Students’ Union (AAMSU) Udalguri district committee, has expressed grave concern on the alleged harrasment of illiterate people by officials in the ongoing family tree verification process of NRC. The students body has written to District Registrar of Citizen Registration(DRCR) and Deputy Commissioner of Udalguri, Dilip Kumar Das seeking his intervention in the matter. The students body in its memorandum stated that a large number of people who visit the centres from far flung areas are allegedly harassed even after possession of proper documents and demanded steps to resolve the matter. 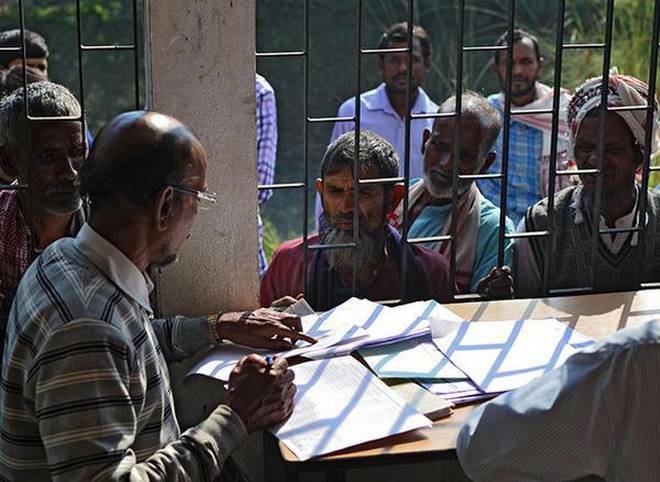 The memo said though it favours completion of an error-free NRC, it does not want citizens to be harassed mentally or economically in the process. It demanded that the process be made hassle-free and keep an eagle’s eye on the process so that no immigrant irrespective of religious affilation who entered state post 25 March,1971 enters their name.